The Mediterranean Music Institute launches the Mediterranean Women in Action (MWiA) Initiative with a concert featuring one of the most well known musicians from Turkey, the Kurdish musical icon Aynur, accompanied by Kurdish tenbûr player Cemil Qocgiri. The MWiA Initiative seeks to raise awareness and promote gender equality in the Mediterranean music scene. In support of this initiative, Spanish jazz flamenco trio formed by guitarist Josemi Carmona, double bassist Javier Colina and percussionist José Manuel Ruiz Motos, known as “Bandolero” will open the concert. 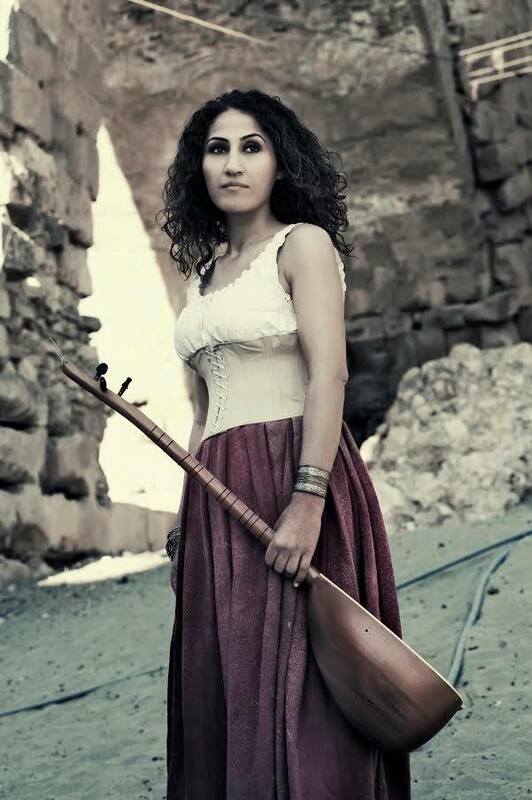 Aynur’s music is based on traditional Kurdish folk songs, many of them at least 300 years old. Her lyrics are about the life and suffering of the Kurdish people, and especially Kurdish women. Her music blends Kurdish with Western music, giving a completely renewed sound to the traditional Kurdish folk repertoire. Josemi Carmona is one of the fundamental figures in the recent history of Spanish music, flamenco, and guitar. Javier Colina is one of the most renowned double bass players in Spain. Aynur will perform with a student band under the direction of Matthew Nicholl and Javier Limón.